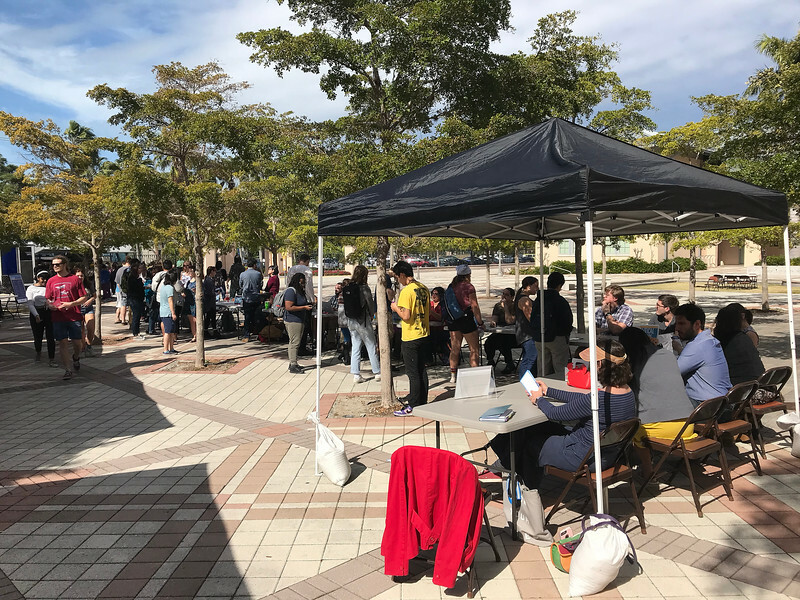 Students, faculty and a local food truck took over ACE Plaza last week as New College of Florida hosted its annual AOC Fair. Geared toward first- and second-year students, the event presents an open environment where students are able to connect with faculty to ask questions to learn more about potential areas of concentration. With faculty representation from all areas of campus, students have the chance to discover possible pathways to completing their degree. Julie Morris, associate vice president of academic affairs, says providing the AOC Fair is significant because the majority of first- and second-year students have not yet decided what their concentration is going to be. Many AOCs had fourth-year students working alongside faculty to promote each field of study, so students had an opportunity to hear current examples of research. Of course, having beautiful weather and free food helped attract a flock of students. To learn more about New College of Florida’s undergraduate programs visit: https://www.ncf.edu/academics/undergraduate-program/.